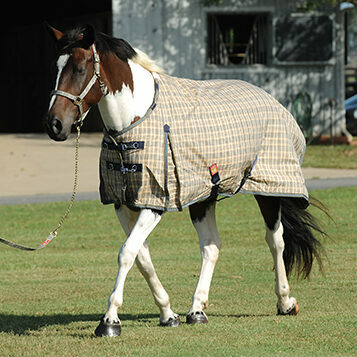 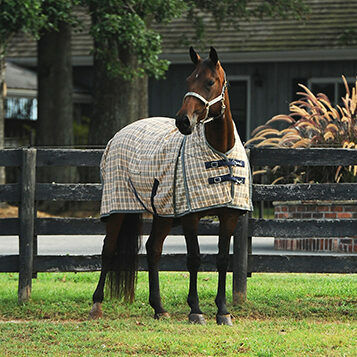 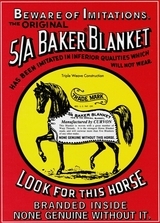 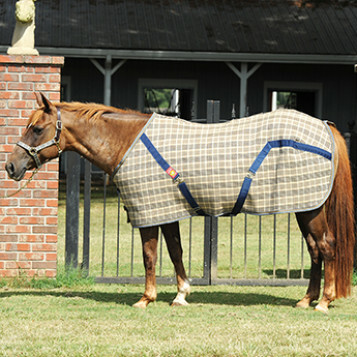 Original Baker midweight turnout blanket has 200 g of proprietary Curvofil IV polyester insulation, with a regular neck opening. 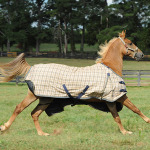 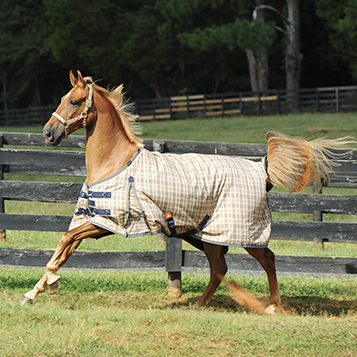 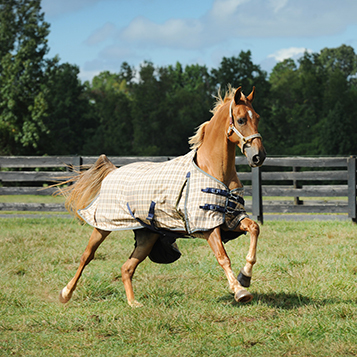 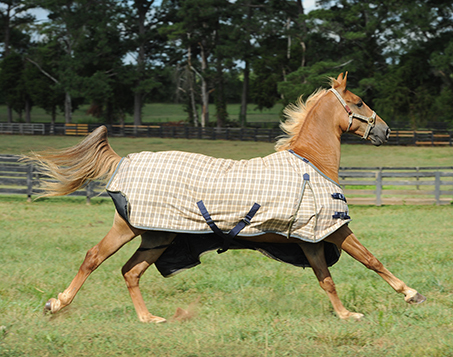 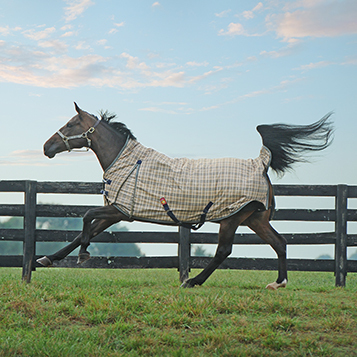 Now your horse can gallop about in high Baker style in the 200 Fill Baker Midweight Turnout Blanket, with the same legendary durability we’re known for in stable blankets. 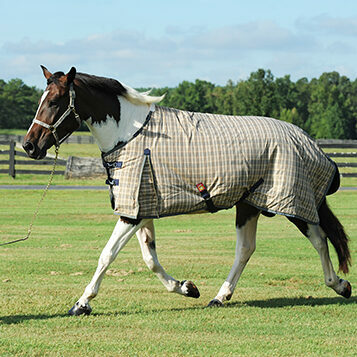 All Baker turnouts feature an outer shell in 1,500 denier polyester fabric that can take an incredible amount of abuse, while the satin smooth lining polishes your horse’s coat and helps avoid rub marks. 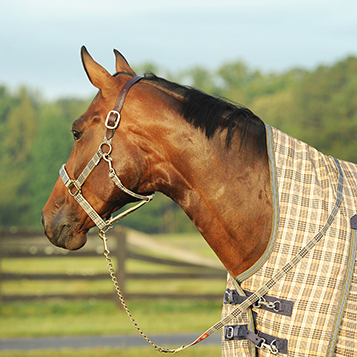 Shoulder gussets and elasticized double surcingles on the bias allow for maximum freedom of movement but still keeps the blanket right where it’s supposed to be. 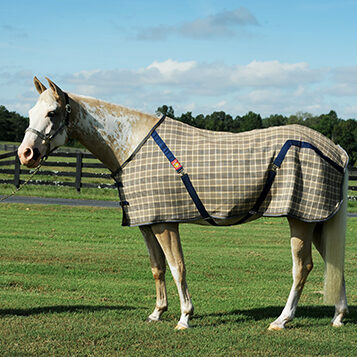 Baker turnout 200 is midweight, with 200 grams of our proprietary Curvofil IV polyester insulation for warmth, and has a regular neck opening.